Where you live profoundly affects your physical and mental wellbeing. Nothing has a more constant, day-to-day influence on your health. However for most of us the world we live in is a world of constant stress. Our workday is demanding, our schedule is busy and does not leave us with enough time to eat properly, exercise regularly or just relax. On top of that we are faced with pollution and environmental hazards — even inside our homes. That puts our health at great risk. A Nikken Wellness Home provides benefits in body and mind for the entire family, and helps us to deal successfully with the challenges of modern life. A Wellness Home is created when adequate attention is given to each of the core aspects of living. These are not only individually significant, but also mutually dependent. When these areas are balanced, the result can be a dramatic improvement in your quality of life. It is easy to turn your home into a Wellness Home. All Nikken products integrate very easily into the way you already live and become a regular part of your normal lifestyle. Please contact me if you'd like to learn more. The human body runs on electrical energy and depends on having an adequate supply to re-charge and re-energize cells. 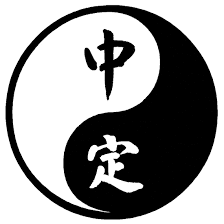 Chi, vital energy, should circulate freely throughout the body. When this occurs the body is able to cope with stress, detoxify and maintain the balance of life known as homeostasis. However in today's society people are suffering because the stress response is repeated many times a day and dealing with this constant condition saps energy. Consequently we feel drained, tired, depleted and everything is an effort. When energy reserves are compromised one is more susceptible to disease. Aging is the result of a general loss of electrical vitality (energy) in the body. How different do you feel about going into work on a Monday morning when you've had a good night's sleep? When we have energy we feel good, great, wonderful and able to accomplish anything. We are more readily able to cope with what life throws at us and things don't get us down so easily. Understanding how to increase and maintain the energy supply in one's body allows one to slow down the aging process and to live a more healthy life. Ways to increase energy and promote health are to eat fresh organic foods, use whole-food organic supplements, get quality sleep for recovery, breathe fresh air, drink pure energized water, have a positive attitude, reduce environmental toxins at home and protect oneself from the EMF's (electro magnetic fields) of modern technology (cell phones, computers, wi-fi, microwaves and florescent lights). Taking a period of silence during the day will slow down your organs, calm your brain and increase your awareness. 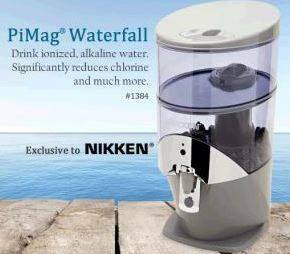 #Nikken water - it's a no brainer - such an easy passive way to improve your health. You have to drink anyway, why not drink stuff that's actually going to rehydrate and energise you? It tastes great too, and works out cheaper than bottled. Great for offices too.